Bold IP is an agile law firm whose mission is to serve the bold & brave! We strive to serve everyone from solo entrepreneurs and small businesses to fortune 500 companies. 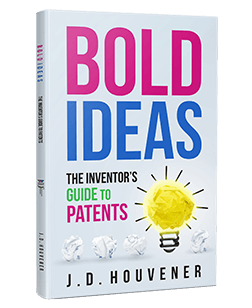 Bold IP focuses on intellectual property law, including Patent Prosecution & Litigation, IP Licensing, Trademarks, Copyright, & Trade Secrets. For many start-ups and emerging businesses, protecting your IP is a big deal. After getting to know you, your company, and the big picture, Bold IP attorneys and agents will be better positioned to help you leverage your company’s intellectual property assets and turn them into bottom-line profits. Go Big, Go Bold! Expertise in Patent Law : Our main focus is to help inventors and business owners secure patents on their inventions. The process of getting a patent from the United States Patent and Trademark Office (USPTO) is called ‘patent prosecution’, and that is our primary focus at Bold IP. For many inventors and emerging businesses, protecting patents (as well as other areas of intellectual property) is a big deal and often causes a lot of stress and anxiety. Our goal at Bold IP is to take the stress and worry off your shoulders and put it squarely on ours!